How Old do you Have to be to Work at Coach? Are you interested in Coach careers? You are in luck! This guide contains everything you need to know about working for Coach. Over 75 years later, what started as a small, family-run operation has grown to a global brand. They have over 950 locations internationally. Coach specializes in bags, leather goods, shoes, outerwear and accessories, to name a few. Joining the Coach team means joining a legacy brand creating top-quality products. They “reflect the spirit and eclecticism of New York”. The following guide will provide valuable insights into Coach’s most popular jobs. We will also give you a view into the application process and tips for nailing your interview. To apply for a job at Coach, simply go online to the Coach Careers website. Then select your desired work department and complete an application. 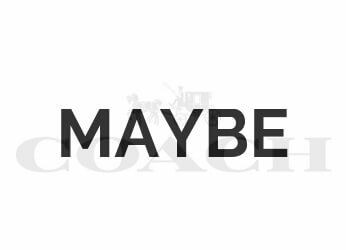 Jobs at Coach vary. The most popular positions are Sales Associate, Sales Associate II, Cashier, Stockroom Associate and Stockroom Associate II. The Sales Associate role is responsible for reaching sales targets and providing a customer experience that aligns with the company’s focus on luxury and sophistication. In this role, individuals should work to become a trusted fashion advisor to their customers. They should maintain knowledge of current fashion trends and communicate them effectively. If working in a positive environment that thrives on employee enthusiasm is your goal, this may be an excellent role for you. Applicants should maintain flexible schedules. It will also be important to be adaptable and willing to represent the brand at all times. This is an entry-level role. However, 1-3 years of previous experience selling in a luxury environment are preferred. Like the Sales Associate role, the Sales Associate II is responsible for creating a remarkable customer experience while achieving sales targets. Individuals in this role should enjoy building relationships with customers, working confidently to ensure the brand is positively represented at all times. An eye for fashion and the latest in fashion trends is a must in this role. Teamwork is important in the Sales Associate II role. Individuals in this role should be comfortable receiving and adapting to feedback. Additionally, the Sales Associate II processes shipments, replenishes inventory as needed and adheres to company policy and loss prevention procedures. Previous experience is preferred in this role. The Cashier role is perfect for individuals that are passionate about the customer experience. As the last person to connect with customers at the point of sale, Cashiers are expected to create a positive and lasting impression, interacting with customers genuinely. They should be prepared to suggest add-ons and gift cards to customers as needed, and handle all cash, check and credit card transactions. The Cashier is a people person’s job. Are you a friendly individual with a strong customer focus? Are you able to properly represent the Coach brand and give customers a reason to keep coming back? Then this entry-level role may just be the role for you! Stockroom Associates are responsible for meeting customer needs through strong product knowledge and a well-stocked, organized storefront. In addition to maintaining the sales floor, Stockroom Associates are responsible for processing shipments, adding sensors and bullets to products and sending items out for repair if necessary. You should apply if you have a can-do attitude and a willingness to conduct a variety of tasks while upholding the Coach brand. They prefer that you have 1-3 years of experience in a luxury retail environment for this role. They also prefer that you have an eye for the latest fashion trends. Like the Stockroom Associate, Stockroom Associates II are responsible for the look of the sales floor. They focus on maintaining inventory and processing shipments in addition to helping to create a positive work environment for the team as a whole. Attention to detail, a strong customer focus, and excellent organizations skills are a must in this role. If you enjoy working as part of a dynamic team of passionate individuals and are willing to jump into projects as needed, then this may be the ideal role for you! There are a number of manager roles available at Coach, including Associate Manager, Assistant Manager and Store Manager. Associate Managers partner with the Store Manager to ensure the store is delivering on Coach’s luxury values, including maintaining store cleanliness. Additional responsibilities include creating and enforcing sales strategies, developing the team and ensuring the store is properly staffed at all times. The Assistant Manager works closely with both Associate Managers and Store Managers to ensure the Coach brand is properly represented at all times. Assistant Managers act as role models to their team and as floor supervisors, ensuring the team is reaching the store’s sales goals. Additional responsibilities may include payroll, human resources and loss prevention. The Store Manager sets sales goals for the team, holds other managers accountable for team and personal productivity, and generally oversees all store operations. Store Managers lead by example, acting as a role model and coach to all store employees. Their goal is additionally to promote brand loyalty and empower their team to create a positive, sophisticated, customer-focused environment. Coach hires seasonal Sales Associates, Cashiers, and Stockroom Associates to assist during the holiday rush from late October through early January. Seasonal employment is a great way to gain additional experience and determine whether or not to pursue long-term employment with Coach. How Much Does Coach Pay (Hourly & Salary)? Our research shows that many previous and current employees have a highly positive view of Coach’s benefits. These include a generous employee discount with additional discounts available occasionally, 401K with match, bonuses for reaching sales targets and health insurance. For full-time employees, paid time off and sick time are also available. While our research shows that Coach does not conduct drug testing, it is always best to approach the application process under the assumption that this could change. If you have questions about drug testing policies, it is recommended that you read any and all materials provided at the time of hire. Congratulations on your interview with Coach! Below you will find the most frequently asked interview questions along with some suggestions for how to answer. Best of luck! Why do you want to work for Coach? Perhaps the most common question asked at interviews, this is a great opportunity to show your hiring manager that you have done your research into the company. Out of all the companies out there, your interviewer will want to know why you chose Coach. Do you love the brand and its long history? Have a strong passion for fashion? Love working closely with customers? Tell your interviewer! How would you handle a tough situation with a customer? It’s best to come prepared with a couple of examples for this question. While keeping things positive, tell your interviewer about a difficult situation with a customer, paying special attention to the ways in which you ultimately resolved things. This is your opportunity to show off your customer service skills by describing the customer interaction and explaining how you went above and beyond to meet the customer’s need. Probably one of the more fun interview questions you may receive, this is a great opportunity to show your interviewer that you are passionate about Coach products and fashion overall. The interviewer will want to see how you share your passion with others. Beyond describing items of clothing, discuss how fashion makes you feel. Does a good outfit make you feel more confident? Do the perfect accessories make you feel happy and put together? Share this with your interviewer! Professional dress is a must for your Coach interview. When considering what to wear to the interview, think of the brand itself, which has represented luxury and sophistication for decades. Your interviewer will expect you to show off these qualities, both at the interview and in your day-to-day employment, if hired. You can never go wrong with bringing a few copies of your resume to the interview, even if you believe the interviewer should already have it. This shows that you are prepared! In addition, have a professional notebook and pen ready for writing down notes or jotting down questions in advance for your interviewer.